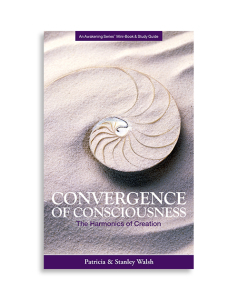 The following is from Chapter 7, Convergence of Consciousness, the Harmonics of Creation. The convergence of consciousness in creation is a dynamic force and a cornerstone of all that exists. To fully understand your creation and the consciousness in which you dwell, the dedicated student of spiritual enlightenment must consider the philosophical and theoretical aspects of creation, as well as scientific data and theory. There is no conflict in consciousness between faith and science. Science is the external exploration of an internal insight, and spirituality is the internal search that drives humanity to explore the world in which they dwell. It is a significant error to view spirituality without science or science without spirituality. To compartmentalize these two studies is to fracture the very truth humanity wishes to discover. From where do you perceive the laws of science were derived? What science discovers is the expression of the convergence of consciousness in creation is born from the only consciousness that ever is. When religious beliefs collide with scientific discovery, it is an indicator that either one or both perceive the information incorrectly. When correctly perceived, faith and science are harmonious, like two pieces of a puzzle. Science without consciousness, or consciousness without science, leads to misunderstanding, abuse and misuse. The conflict between faith and science is in direct proportion to misunderstanding and faulty beliefs. In the world in which you will dwell in the coming of the new age, science and spirituality will merge in a harmonious song of creation. 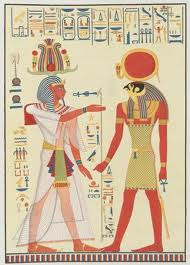 Scientific fact and spiritual truths are the notes upon the page that creation sings. The convergence of consciousness in creation is the perfect merging of what you call faith and science. Science is the practical application of faith and true science affirms your beliefs. In the realms in which we dwell, there is no differentiation; for, they are two halves of a great archway that stands at the portal of spiritual enlightenment and understanding. Sacred is your science, as well as your belief. I accept the totality of Truth expressed in its varying forms in my life. A new and different science project. Science is the practical application of faith and true science affirms your beliefs. — Create a science project to demonstrate the above statement. — Make note of similarities and differences. — Make note of your discoveries. What has been your personal belief in the relationship between faith and science? — After reading the above concept has your opinion changed? — Why? or Why not? When religious beliefs collide with scientific discovery, it is an indicator that either one or both perceive the information incorrectly. When correctly perceived faith and science are harmonious, like two pieces of a puzzle. — What do you perceive the misperception to be? — Why do you personally feel the religion and science have been at odds throughout history? The conflict between faith and science is in direct proportion to misunderstanding and faulty beliefs. — What do you believe the faulty beliefs to have been and in your opinion does the conflict between faith and science continue today? — Is the conflict justified? — Why or Why Not? — What action, if any, can be taken to repair this rift? — Are there actions you can personally take? — If so, what are they?